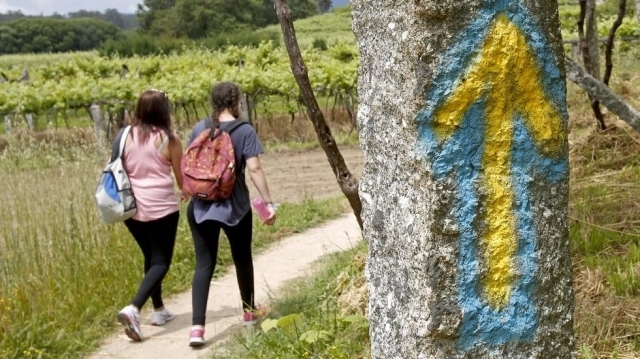 This past weekend all alerts burned in the province of Burgos after being denounced the disappearance of a 23 year old pilgrim performing the Camino de Santiago with a group of German friends. Young friends alerted the Emergency Service 112 of Castilla y Leon last Friday when the girl did not meet with his colleagues in a meeting.agents of the Civil Guard and Civil Protection crews immediately began searching for the German citizen and responds to the initials of A. F.
The girl had spent the night in the shelter of the town of Burgos Hontanas, and leave this town was when you lost track. Finally, luckily, everything was just a scare.The pilgrim was located by the Civil Guard in perfect health. She communicated by email with peers and to change plans, could not tell instantly to his companions, who alerted authorities to see that the girl did not come to the meeting point. A decision undoubtedly correct, but in this case it was a false alarm. 0 reviews Distance to Santiago: 491 km. 0 reviews Distance to Santiago: 459 km. Menos mal que solo fue un susto... la preocupación de sus compañeros debió de ser terrible.